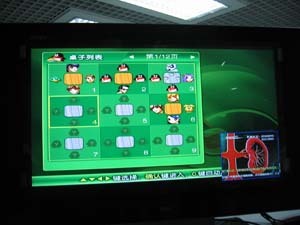 Virtual China just posted about a new IPTV product announced by Tencent and TCL. According to many reports on the Chinese IPTV market like this one, China will fast leapfrog to become the largest IPTV market in the world. Given the massive adoption of free/cheap internet messenger services like QQ, on the PC and the mobile phone, it seems likely that this service will soon be integrated into the TV also. Tencent today announced with TCL industrial research institute in Shenzhen iTQQ TV– the first TV with interactive intelligence born in China. According to Tencent Shenzhen R&D center general manager Li Jiancheng: Old people can now inquire the working status of their children through the device even with no former internet experiences. The remote controller can be used to communicate with the children to know whether and when they will come home for dinner. All of these operations using one single remote controller. Entry filed under: china, content, digital, media general, mobile, television, trends. Interesting. The possibilities are immense with IPTV and China has the advantage of relatively better infrastructure services versus India. But India is gunning ahead. The country’s government telecom provider BSNL together with other companies Reliance Infocomm, VSNL and Bharti Televentures has laid down more than 350,000 route kms of optic fibre across the country. 90% of this capacity is unlit (not connected to the end user equipment), and offers a huge potential for IPTV services. Broadband being the backbone of IPTV, India with current 1 Mn broadband connections is expected to go up to 20 Mn by 2010 (TRAI). Further the last mile connection being of key importance, the formidable cable operator network of India, would need to be partnered with rather than taken as competition. Indians in parts of Mumbai and Chennai have started to get a feel of the service as of October 2006. Meanwhile, telecom companies are losing no time in getting ahead with partnerships – UTStarcom is investing in the architecture with Bharti as Reliance Infocomm is pairing up with Microsoft.